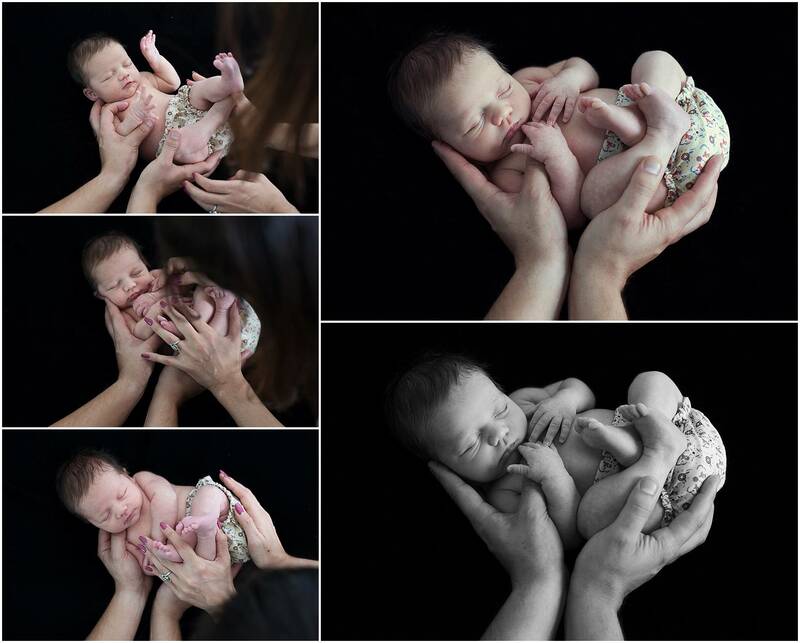 A few behind the scene images of baby Calista and a few tips that works for me. To be honest, I am always a little nervous before a newborn session. In most cases these little bodies have only been held by their parents and maybe a grandmother by the time your client walks into your studio. It is definitely easier if you have established a relationship with the parents in previous sessions like their Maternity shoot, but in most cases you are a stranger. I don’t have kids of my own but I have never been scared to hold a baby and I babysit often enough for friends. All of my knowledge to photograph newborns are form Youtube tutorials. The rest you pick up as you go. No newborn session is the same and yo definitely learn something new with each session. I hope to someday add “baby whisperer” to to resume. I always like to take a shower and get ready just before I do any shoot in the morning, I like to feel fresh and get close to my client in confidence seeing that Im always fixing hair or helping them get dressed in a session. BUT even more so with little ones because I DON’T wear any perfume. The reason for this is to avoid baby maybe being sensitive to your brand of perfume. You are holding that baby close every time you transition from one set-up to the next or comforting that little one when needed. My hair is always in either a ponytail or a bun. Those little hands can grab, and you are bending over them 70% of the time for shots, so you definitely don’t want loose hair dangling over their little faces. Same goes for a necklace. I always make sure my nails are smooth, and I don’t wear rings that might scratch the little body as you wrap them. I like to keep to the little diaper on. My wraps cover the diaper nicely and it helps prevent little messes. If parents want a few booty shots, I usually do them towards the end of the session or if there is maybe a diaper change. Make sure to wash your hands properly before you start handling the baby. There are obvious things to do that comes with any studio session like planning your shoot in advance to keep the flow quick. But I think for me these are small things around Newborn sessions that helps me feel more at ease which also gives the new mom more confidence to hand me her child. With that said, don’t be scared to get mom and dad involved in the session, explain to them what you are going to do next and ask them to help put on a hat, or hand you a “spoegdoek” if milk should come up. Another thing to try do is to “read” the babies mood, allow for mom to maybe feed or comfort the baby when you are setting up the next scenario. I believe that there a million more little tricks out there for me to learn, but if I can give any advice, being patient is the biggest key to a newborn session. Make sure to get a few shots in for your client and then start playing around with new props or try new poses. You will quickly pick up what baby likes or don’t like and then move on to the next idea. These are a few behind the scenes images of baby Calista, 15 days new. You can see I placed dad’s hands strategically for the shot and then my hands bringing in the little arms and legs. My left hand holding all the limbs together and then rocking and patting the bum until Calista relaxes for me to take the shot. Keep your headpieces/props close by. Little Calista is a serious little creature and then you can just use your thumb and rub that little frown out. Its a soothing motion if you do it a few times which helps them drift off again. Remember to keep rocking the little body or patting the bum and make a “shooshing” sound. Talking the little person in soft low voice will also do the trick if you are not keen on “shooshing”. There are also machines specially made for newborn photography to that for you. If you would like to see more of baby Calsita’s beautiful images you can follow this LINK.